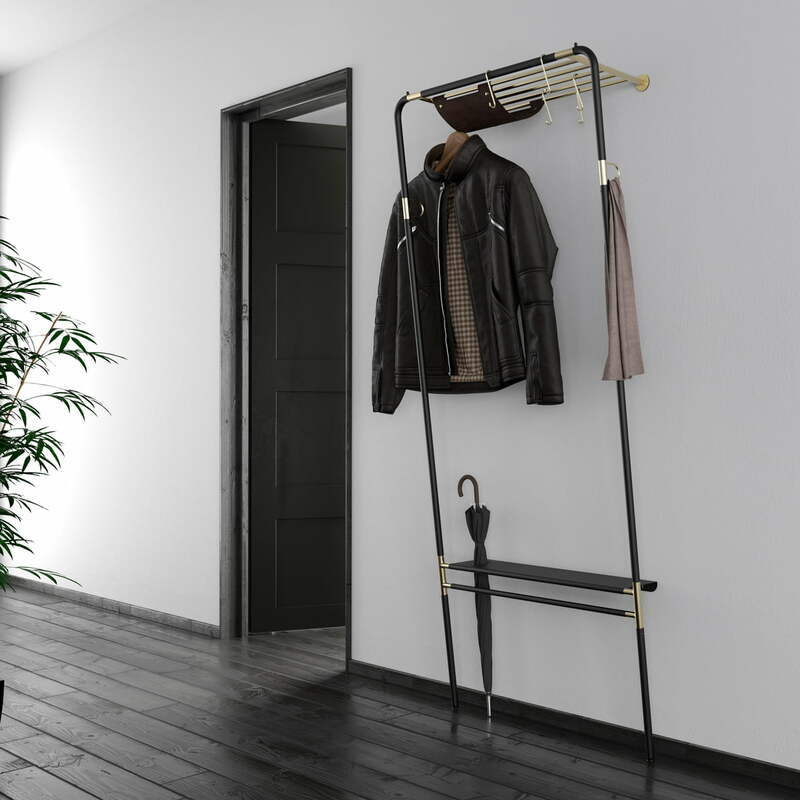 Thanks to the the Lean On Me coat rack by Umage, you can now utilise your available space in an efficient way. Lean is designed in such a way that it tilts diagonally into the room from the bottom upwards, taking up hardly any space on the floor. Perfect for narrow corridors and other confined areas - the coat stand is still wide enough at the top to place hangers in both directions along the rails. 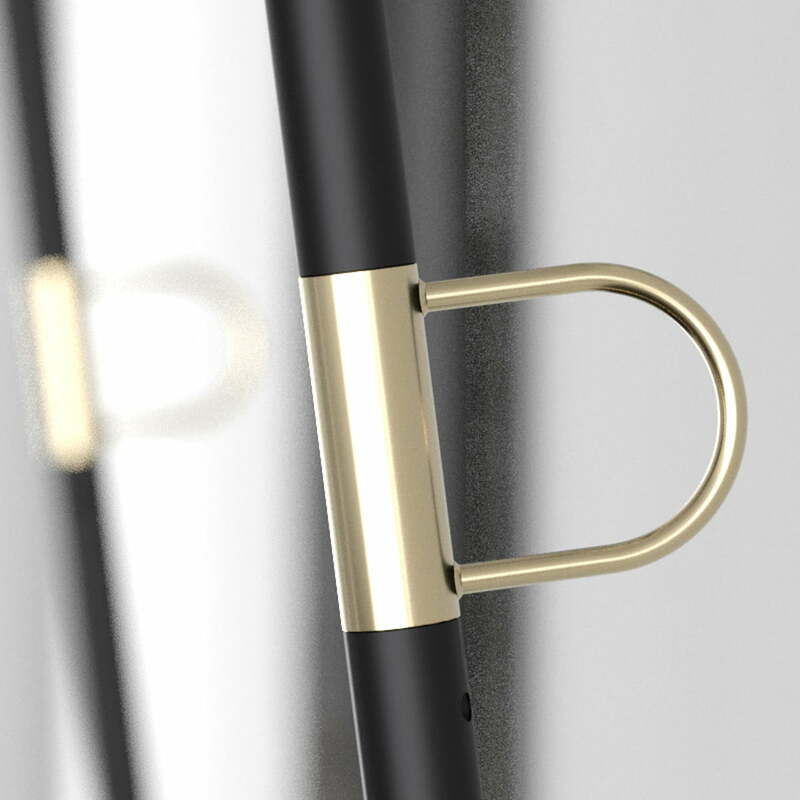 Clean, minimalist and functional, Lean On Me has a bold shape with a reduced elegant appearance, expressed through robust and long-lasting materials and well-thought-out details. 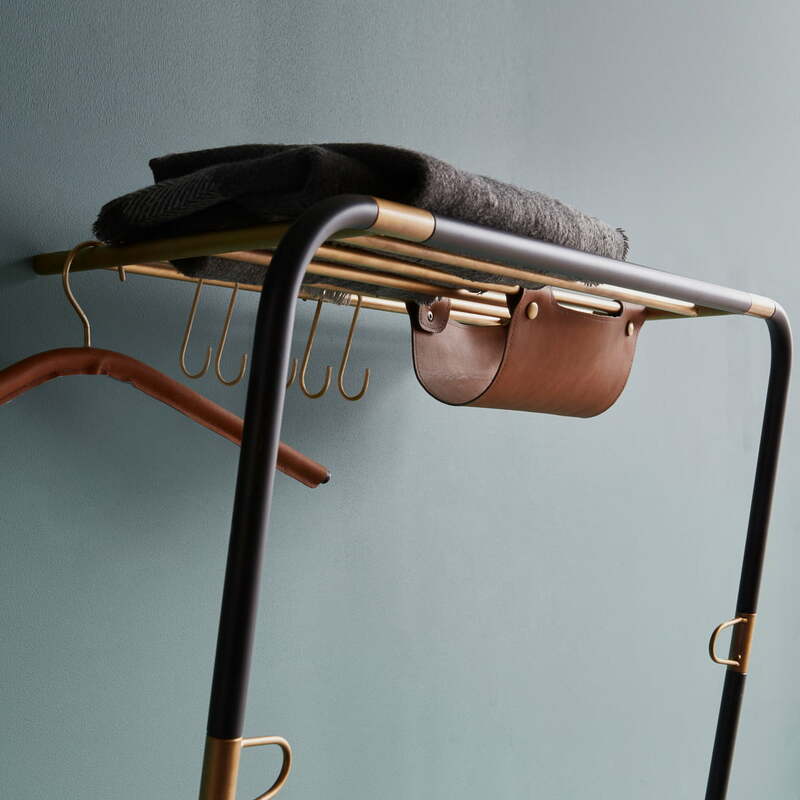 Powder-coated steel adds a light industrial style to the coat rack designed by Jonas Søndergaard, punctuated by warm brass details. 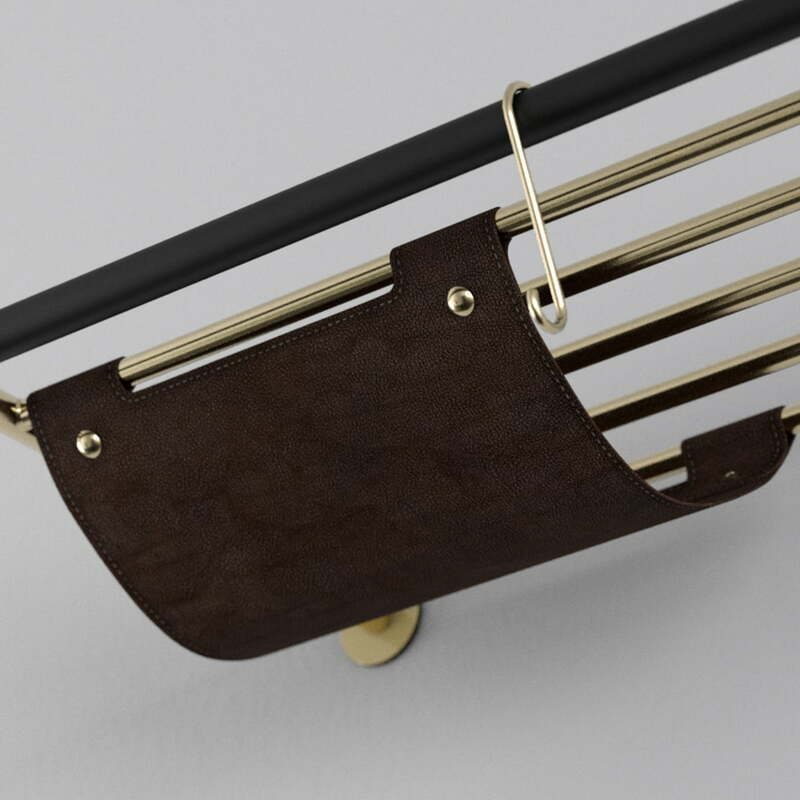 An artificial leather pouch on the upper bar takes the hardness away for the thick metal frame and provides another storage option. 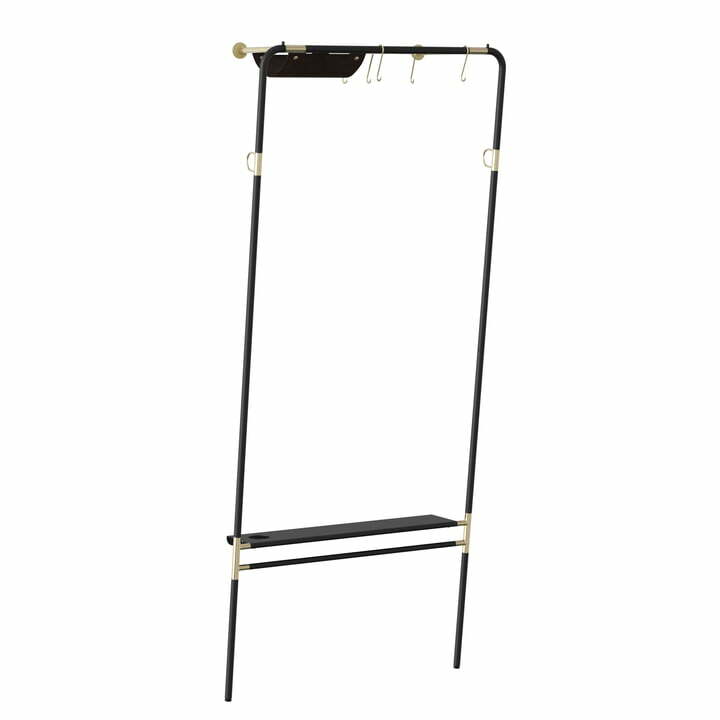 The Lean On Me coat stand is the ideal storage solution for coats, jackets, gloves, scarves, hats, shoes and other items. 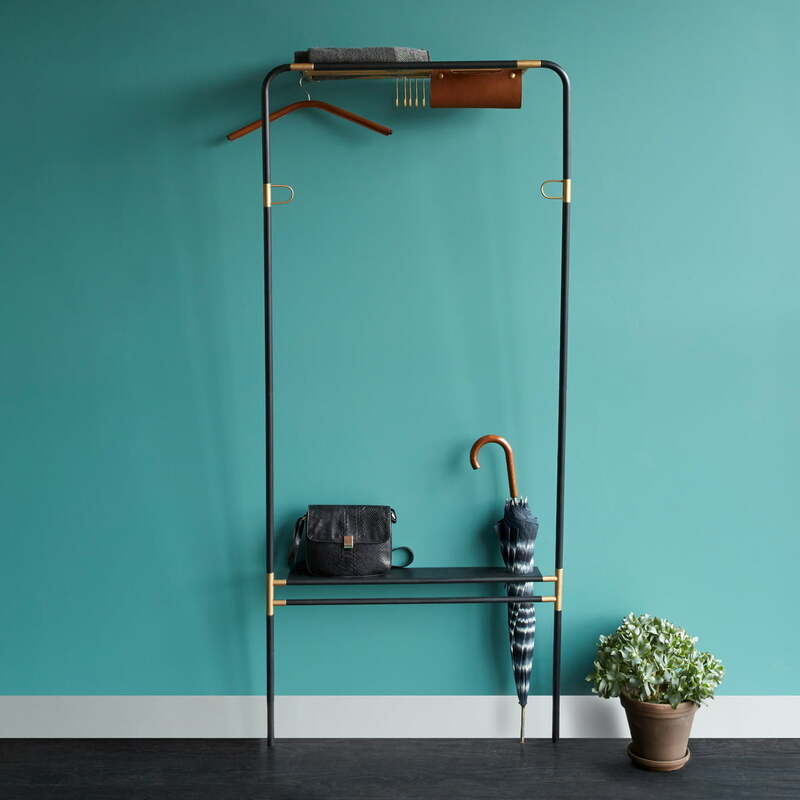 There is a small shelf for handbags, as well as a practical opening for umbrellas. 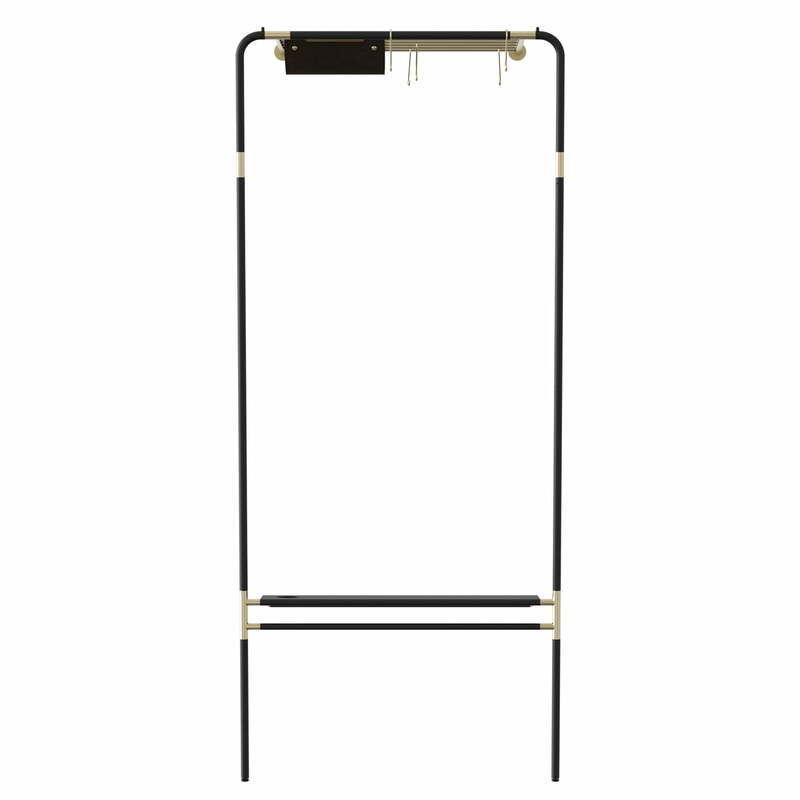 The frame of the rack has additional loops to hang up the dog lead for example. Thanks to its high adaptability and space-saving inclination, it can also be used in the bedroom, anywhere else in the apartment, in an office or even a hotel.